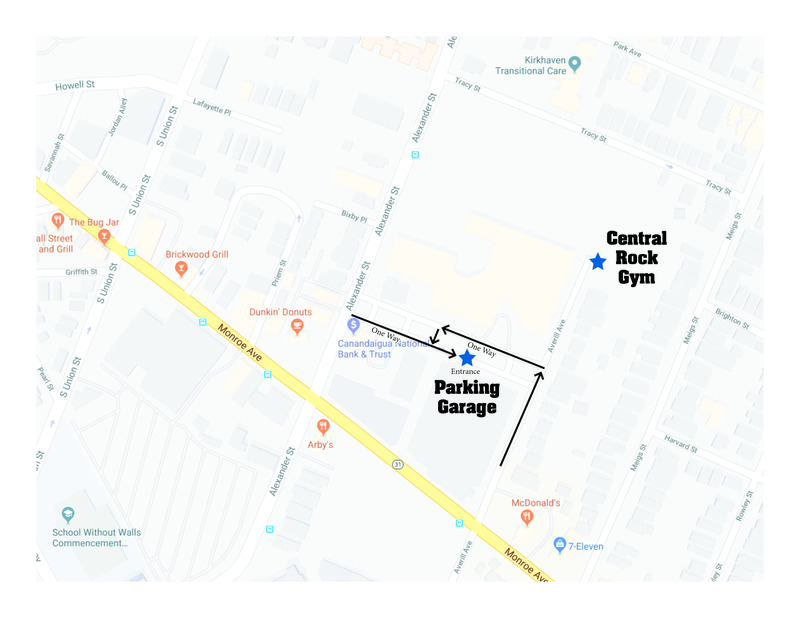 Ready to see everything Central Rock Gym has to offer? Whether you are a beginner checking out climbing for the first time or a seasoned pro looking for the perfect place to hone your skills, we have something for you! Get a taste of what we have to offer by watching our “First-Time Climber” video. Learn how to safely climb by watching our “Bouldering Safety” video. Then, check out the options we have listed below to get your experience started quickly. All participants must have a signed waiver. If the climber is under the age of 18 this waiver must be signed by a parent or legal guardian. Sorry, grandparents, older siblings, and teachers do not count. The waiver can be submitted electronically by clicking below. The best way to experience everything we have to offer is to learn to belay. This course is just over an hour and once completed customers will have full access to the climbing terrain for the remainder of the day to practice. Once you have taken the belay test on your next visit, you are free to climb without staff supervision. Schedule an Intro to Belay Class here, and get started. Let our trained staff at Central Rock Gym do all the work for you. Available on weekends from 11:00am-4:00pm, our Staff Belay program allows you to climb without taking a belay training course. Our staff will get you situated with all the climbing gear you and/or your children will need, then tour you around the facility for 1 hour, letting you climb under their direction to your heart’s content. We pair our staff with up to 4 customers at a time so spots are limited. Reserve your spot today! Climbing may be the largest part of what we do, but we also have a dedicated fitness facility apart from the main gym with cardio machines, free weights, and additional training equipment where we host group fitness classes. In addition, we offer yoga classes in our separate yoga studio. Full schedule of fitness and yoga classes. A membership at Central Rock Gym gets you access to every location and amenity we offer! We took the guessing game out of memberships with no fees, just the monthly rate; so there are never surprises! Learn more about the benefits of a CRG membership. Want to see more? Just look through the many options found in the “Climbing”, “Kids”, and “Fitness” options on the main navigation bar.